At 5:32pm 6/13/2010 I had an experience of Robert Kennedy, he state, “They have been in my casket”. At 4:44pm on 6/13/2010 I had a vision of something or someone through time viewing Robert Kennedy’s death, I heard a gun shot. 2:52pm, with his body turned to the left. 2:53pm, experience of Robert Kennedy and his Angel Wings, feels like he is very disturbed about something, this is an experience of the past. Experience from looking at a picture. The picture on this post is the accurate picture that I observed. 3:02pm I experienced an Angel Being stating, “They are now in the casket, trying to get rid of the evidence.” Referring to Robert Kennedy. 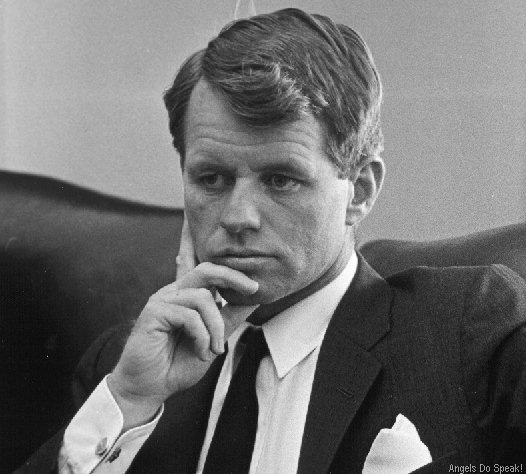 At 2:25pm on 6/11/2010 I had a vision of Robert Kennedy, the top of his head in his casket.